You decided to buy or sell a business and found an interested party. Prior to entering into a contract, both of you need to share more information, so you can decide whether and how to move forward. There are 2 essential documents necessary to protect your discussions. 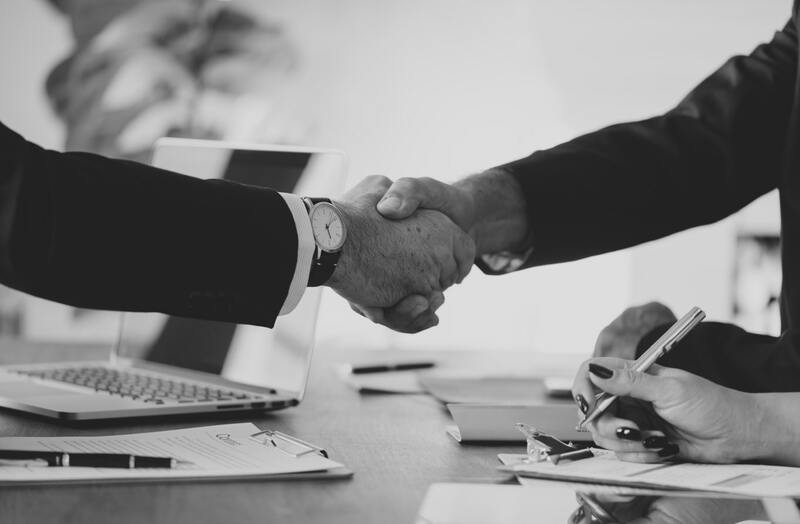 Before a seller undertakes any detailed discussions with a potential buyer, the parties should enter into a Nondisclosure Agreement (NDA) which provides that all confidential information will be held in confidence and will not be used for any purpose other than in connection with considering the purchase of the business. If the discussions break down, the agreement should provide that all confidential information will be returned to the other party. Sometimes these agreements go further and provide that the potential buyer will not solicit or hire any of the seller’s employees for a period of time after the date of the NDA. The reason for this provision is to keep a prospective buyer from hiring the seller’s key people if they decide not to buy the company. The prospective buyers will be learning important information from the seller about these employees, including their salaries and bonuses, and they may use that information to hire these individuals. Once the parties have agreed on the material terms of a purchase, the seller’s or buyer’s lawyer will often prepare an agreement called a “Letter of Intent.” A Letter of Intent is a relatively straightforward document setting out the fundamental terms of the transaction. The negotiation and preparation of the Letter of Intent helps to flush out issues which may not have been addressed, and ensures that there has truly been a meeting of the minds between the parties as to the business terms of the transaction. The Letter of Intent will specify the type of purchase (shares or assets), a list of the significant assets or types of assets to be purchased and the liabilities to be assumed (in the case of an asset purchase), the purchase price (or a formula to determine the purchase price), an approximate closing date and certain conditions of closing. The buyer may ask that the Letter of Intent include permission to enter into discussions with key employees and suppliers prior to closing. In addition, the buyer will typically require that the Letter of Intent include provisions restricting the seller’s ability to sell the business to anyone other than the buyer for a fixed period of time. There are two different types of Letters of Intent – binding and non-binding. A non-binding Letter of Intent does not obligate the parties to complete the purchase, while a binding Letter of Intent will provide that the parties are obligated to complete the purchase once certain conditions set out in the Letter of Intent have been met and final documentation agreed upon. If the Letter of Intent is non-binding, it can be a simply worded expression of the buyer’s interest to buy the business after it has examined it more closely. If it is binding, the parties will have to specify in greater detail each of the fundamental terms and conditions which are to be reflected in the definitive purchase agreement. Regardless of whether a binding or non-binding Letter of Intent is going to be used, the seller has the most leverage prior to signing the Letter of Intent. After that time, almost all of the leverage goes to the buyer, unless, of course, the seller is prepared to simply walk and not close the transaction. Generally, after a Letter of Intent has been signed, the buyer will engage in a more detailed review of the business, reviewing its financial statements, operations and contracts to ensure it wishes to purchase the business. This process is called due diligence. Often during this process, the buyer will instruct its counsel to begin preparing a detailed Purchase Agreement to reflect the terms and conditions of the transaction. In a future post, we’ll discuss the relevant terms of a Purchase Agreement. To learn more about The Legal Issues of Selling a Business, check out these prior blog posts or contact us to receive our free guide. Selling a Business? Is a Stock Sale or Asset Sale Right for You? If you are considering buying or selling a business, contact us for help with negotiating and drafting your contract.